Home » How much does it cost to hire a digger? Hiring a digger can certainly speed up work on your construction project. For example, if you have some major excavation work to do (perhaps digging out foundations for an extension or a landscaping project) you should consider hiring a digger to get the work done more easily. And although hiring a digger is an additional expense, it will save you a lot of backbreaking work as well as additional labour fees. In some cases, it may work out cheaper to hire a digger with an operator. Although the rates for this are much higher, an experienced operator will get the work done more quickly and avoid any costly mistakes. What size of digger do I need to hire? You need to understand the sizes and capabilities of the digger you hire to make sure it is suitable for the job. In addition, you need to ensure it will fit onto the site. If you are unsure, contact a few hire companies and ask for their advice. They should be experienced and knowledgeable with the ability to answer any questions you have. It is essential that you know the capabilities of the machinery your proposing to hire otherwise you could end up damaging the machinery and losing your deposit. 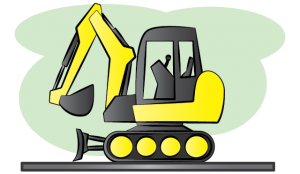 There are three main sizes of digger available to hire…. Micro Diggers – Micro diggers are small and compact, usually around 72 cm wide, making them a great choice if you need to get them into small spaces such as back gardens. They can dig to a depth of around 2 metres and weigh about a tonne. Expect to pay around £75 per day to hire a micro digger or £250 for a week’s hire. Mini Diggers – Mini diggers are around 1 metre wide, making them compact enough to get into quite small spaces. They can dig to around 2.5 metres and weigh about 1.5 tonnes. They can lift more weight than a micro digger due to their larger size and engine capacity. Costs are about the same as those for a micro digger. Larger Diggers – Larger diggers come in a range or sizes from 3 tonnes to 18 tonnes. A 3-tonne digger will dig to a depth of 2.7 metres. However, these large diggers are often difficult to manoeuvre in small spaces and may not fit in your back garden. A 3-tonne digger will cost around £125 per day to hire or £350 for a week’s hire. Should I do it myself or hire an operator to help me? If you have no experience of working with heavy machinery you might want to consider hiring a digger with an operator. This is more expensive; however, the job will usually get done more quickly so you will not need it for so long. It also may be worth hiring a contractor if there are complex issues in your construction project such as drainage, pipes and plumbing. This can prevent you having problems such as breaking through drains or cutting electricity cables or water pipes. Hiring a mini digger with an operator will cost between £250 and £300 per day. What other additional costs might there be? You should be aware of any other potential costs that you may incur when hiring a digger. For example, check the fees for extra days in case you require the digger for longer than expected. In addition, there may be insurance costs to consider. Deposits – Many digger hire companies will request that a deposit is left before hiring out a digger whereas some will simply ask for card details which they pre-authorize. They do this to ensure they can deduct money from you in the event of something going wrong, such as the digger being damaged. Insurance – It is important to make sure you understand the insurance policy when hiring a digger as you will be responsible for any damage caused by the machine. Some hire companies will include the necessary insurances in their prices, however, do not always assume this is the case. In some cases, you may need cover for the machinery whilst in transit, but this will not be necessary if the digger is being delivered. You may be able to add cover for hired machinery to your home insurance. However, you may still need additional liability insurance. If you hire a digger with an operator then all required insurances should be included in the price but do check. 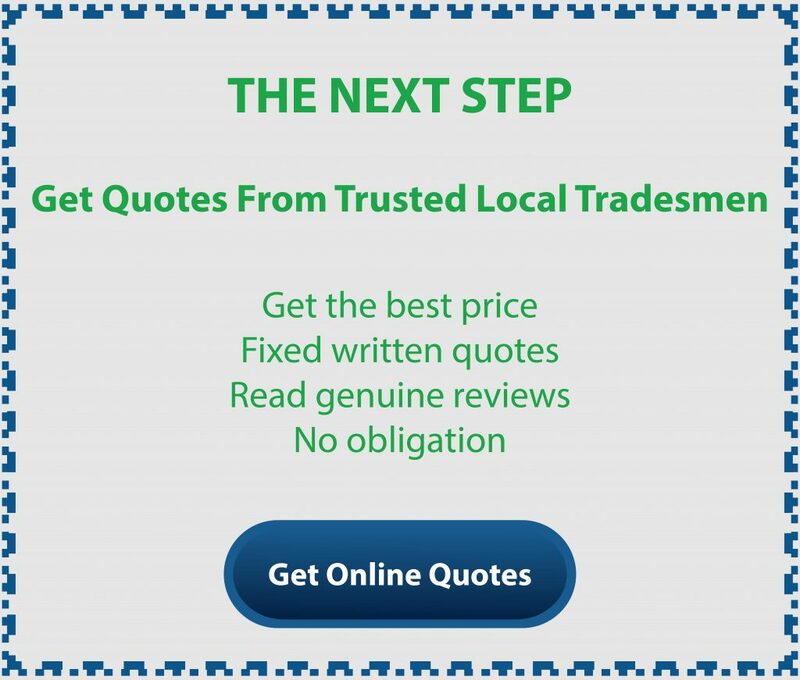 It is best to get several quotes from both local companies and national hire companies so you can compare costs. Remember to check the details of the hire agreement carefully to make sure you understand the insurance requirements and deposit costs of each, as the quote that may initially seem the cheapest may in fact not be the most cost effective when other fees have been taken into consideration. Hiring a digger can certainly take a lot of the strain out of your construction project. However, this is not a decision to be taken lightly as operating diggers can be dangerous. If you are not confident in your building skills, then you should hire a contractor or a digger with an operator to do the work. If you do decide to do it yourself, make sure you have a full knowledge of the area you are digging. Finally, make sure you check the hire agreement carefully before your hire so you don’t get any nasty surprises further down the line.